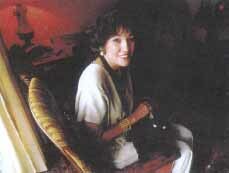 ABOVE: Businesswoman Noreen Renier did not believe in psychic powers - until she discovered her own. On March 24, 1994, a sixty-six-year-old man named Norman Lewis left his house in Williston, Florida, in his truck and simply disappeared. He left behind his wallet and various personal items, which he would have been expected to take if he was going on a long trip. The case baffled the local police. Williston is a small town, and the police initially thought this would be a simple case which be cleared up relatively quickly. Despite hundreds of leads, after two years the police and Lewis's family were nowhere near finding out what had happened to him. It was at this point that the family suggested the police contact a psychic detective. Luckily for the family, Detective Brian Hewitt, who had worked with the Williston police, had recently attended a conference where psychic detective Noreen Renier had lectured. Hewitt was impressed by Renier and decided to recommend her services to the Lewis family. 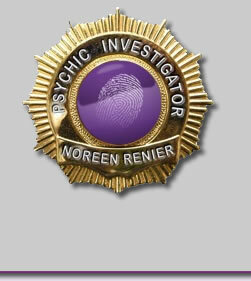 Because it was outside the ordinary parameters of police work, the family paid Renier for her psychic services. When Detective Hewitt telephoned Renier, she agreed straight away to help. The police had not progressed the case for more than two years, so it was felt her involvement couldn't do any harm, and she wasn't going to be accused of wasting police time. Hewitt made an appointment and visited Renier in Orlando, Florida. Renier was sent two personal items belonging to the missing man - his wallet and a shoe. She began work on the case at once, although certain critics have argued that she didn't start until three weeks after hearing about the investigation. This, they say, would have given the psychic plenty of time to research involved. Renier has spoken about her involvement, pointing out that even if she did "cheat", which she says she never does, it wouldn't have helped find Norman Lewis: "When I work on a case, I don't want to know anything about it except is it a homicide or a missing person. I never even ask for the name of the victim. As a psychic, I use my intuitive mind to get the answers." Even if she had gathered together all of the facts in the case, she wouldn't have learned any more than the police already knew and they were no nearer to finding out the answer to the mystery than they had been when Lewis disappeared. When Renier sat down with the wallet and the shoe, she didn't know whether their owner was alive or dead. But she says the images started coming almost immediately, "one after the other." She relived what had happened both from the point of view of an eyewitness and as if she were Norman Lewis. She saw Lewis in his truck and "watched" as it veered off a road and went down a cleft. Renier told the police that she knew Lewis had had an accident and also that he was dead. She was also able to give them vital clues which helped in locating the body. "I told them the mileage from his [Lewis's] house (2.1 miles), the number of a road (44), the other clues I could see were that he would be found in his truck, the still water, the bricks, the railroad tracks, a bridge, the clefts, and the weeds above me when I was Lewis in the truck." As soon as Renier presented her information to the Williston Police Department, officers put together her clues and started work looking for what they now believed would be a body. There turned out to be several areas of water that distance from Lewis's home, but when navy divers searched a lake-filled local limestone quarry along State Route 45 (Renier's prediction of a road numbered 44 had come very close), they found Lewis's truck under weeds in murky water, with his body inside. The local police force made public statements to the media about the success of Renier's predictions and the discovery of the body hit newspaper headlines throughout the United States. As with all these cases, the facts are not always as they seem. 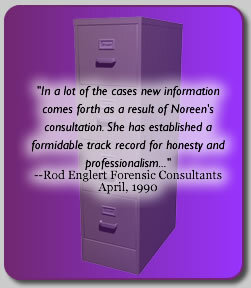 Skeptics have had a field day trying to find holes in the case, yet despite all their protestations, they cannot argue with the fact that wasn't until the family requested the involvement of a psychic, that the mystery surrounding Norman Lewis was solved. It is embarrassing for a highly trained police team to admit they have run out of clues on a case - and even more embarrassing to admit that a woman who calls herself psychic actually helped them locate a body they hadn't been able to find for 2 years, despite modern policing methods. As Renier says, "If logic could have been used to find Mr. Lewis, or solve unsolved police cases, they would not need me. All the local police and I'm sure half the town were looking for him." When the police located the body, the family of the deceased man phoned Renier and was, according to the psychic, "extremely grateful." She had ended two years of uncertainty. Talking about how she receives her unique insight, Renier says she doesn't really do anything special. She meditates and occasionally likes a glass of wine to relax, but then the images "come from my mind, which somehow has focused on the energies of that individual at that particular time, I'm in another state of consciousness so I can't really describe how it feels, except for the pain, of course, it feels like the pain the person felt."